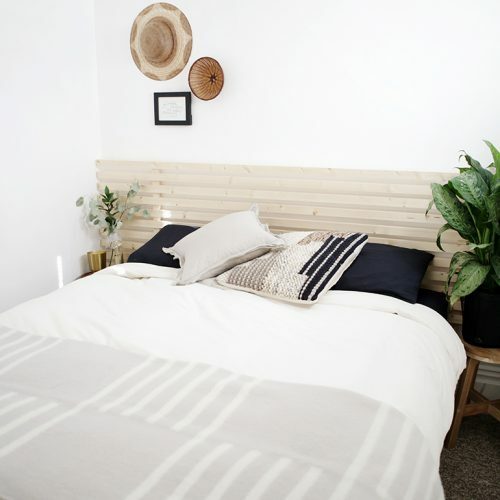 Leading up to making my wood slat headboard last week, I had been falling in love with wood slat everything – walls, cabinets, furniture. I just kind of want to throw it on everything! Since I kept finding the most beautiful images on Pinterest, I just decided to share a bunch of my favorites in case you need some inspiration for projects! I definitely already have a few more wood slat projects in the works but these are making me wish I could seriously update some of the rooms in my apartment. Ha!